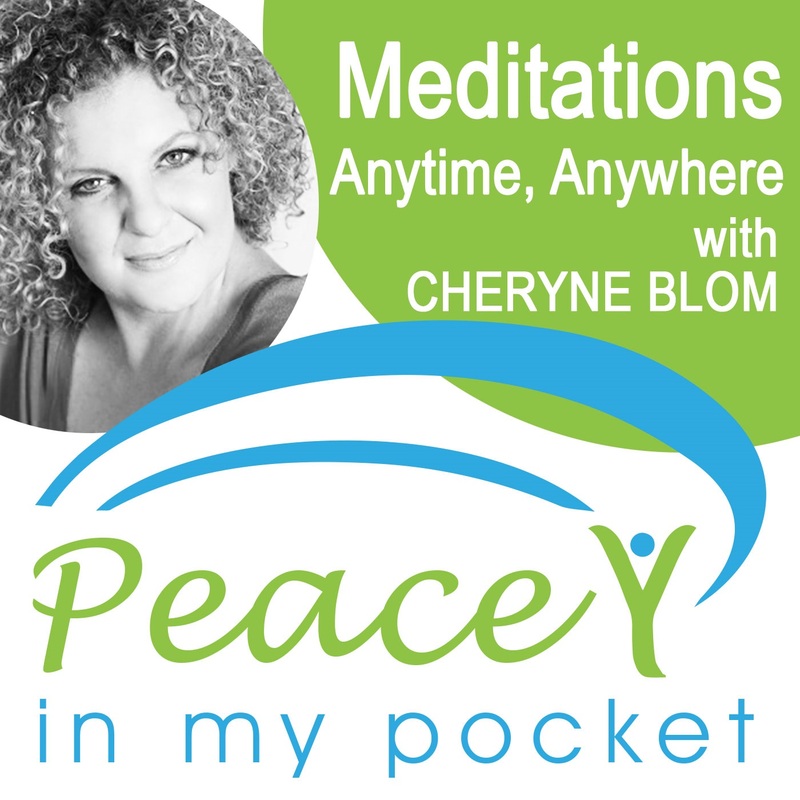 Guided meditations anytime, anywhere led my Mindfulness Expert and Teacher, Cheryne Blom, from Be You Be True. Meditations made easy to help you relax, release, recharge and refocus your thoughts.. Welcome to Episode 23 of Peace in my Pocket Meditation Podcast. Today’s meditation helps you connect with your most confident self. This is your authentic self- the person you were born to be. The You, you can be without any fear, self-doubt, insecurity or sabotage. Channelling your confident-self helps you take courageous action steps. It helps you assert yourself calmly and clearly and it increases self-respect and empowerment because you know you have embraced every opportunity or challenge in the best way possible. Do this meditation before an important presentation or meeting or even before you need to have an important (yet possibly confrontational) conversation. Thank you so much for supporting my passion and being a part of my community. Welcome to Episode 22 of Peace in my Pocket Meditation Podcast. Today’s meditation helps you connect with the universal energy around you. By connecting to the universe, you can connect to your power source – a cosmic energy that powers you as well as everything around you – This helps you feel grounded, safe enthused and empowered. When you are connected to your source you feel connected to everyone and everything around us. This connection gives you clarity confidence and courage to live your life in a calm and heart centred. Today’s meditation focuses on Energy Clearing. It is one of my favourite meditations and a powerful technique to ensure that you are clearing yourself from any energy you may be taking on. We are all energy beings. Our emotions can be seen as energy in motion. And every emotion omits a frequency or a vibration that we send out into the world around us. This includes both good vibes and negative vibes. When we take on negative energy we begin to feel drained. The mind feels clouded and we can experience feelings of anxiety or even depression. This can feel quite confronting and uncomfortable and it brings us down. It robs us of our personal power which then blocks us from being our full potential. So this meditation helps you release any negativity or toxicity you may have absorbed from your energy and connect you back to your own power source where you can continue to feel connected calm clear and confident. This is a meditation to help you feel strong and confident in those moments when you feel alone and scared. Very often when we get stuck in fear, we forget about who we are and how much love we have around us. This meditation helps you draw upon the love that your core people have for you. Your Core people are the ones who love you the most, believe in you, see you for you, acc3ept you. Honour you, cherish you and celebrate you. So let's get started with today’s meditation and create your own circle of love. Today's meditation focuses on a very special topic- Self Love! Self love is a huge conversation and often brings up a lot of emotion for many people. So I really want to clarify what I mean when I speak about Self Love and help guide you towards this special space that exisits within each of us. When I speak of SELF LOVE I do not necessarily mean, loving yourself, when I mention self love I mean that the Essence of who you are and what makes up your self is LOVE. Self love is the opposite state to Ego. Where as Ego represents your fears and insecurities and comes from your mind, self love defines your authentic self which resides in the wisdom of your heart. So self love is about connecting to this warm and nurturing space within and when you feel connected to this powerful source of energy you feel calm, centred, balanced and empowered. This connection helps you move past the voice of self doubt and stress and takes you into your heart which will instantly relax your body, calm your mind and ignite your true essence and empowered self. I trust you will enjoy today's special self love meditation. This is one of the most powerful meditations which came to me when I commenced my journey with Meditation as it helped me to connect to earth and be fully present in my life. It is amazing how, when we are strongly connected to earth, we feel a sense of connection and oneness with everything around us. This eliminates feelings of isolation and loneliness as you recognize that the source that is creating the universe is present in your own life-force. Take this podcast with you down to the beach or outside into nature, where you can put your feet into the ground and follow this guided meditation. And now lets get ready to get grounded. Thank you so much for supporting my passion and being a party of my community. For many years I suffered with anxiety and for many people, anxiety can be debilitating and rob us of being able to be present and in the moment as the constant inner chatter and inner restlessness disable us to focus and be grounded. This meditation helped me connect with my anxiety, but instead of attaching to it and becoming it, it enabled me to see it as an energy which I could work through and let go of. Welcome to Episode 16. One of my favourite meditations is to journey back to my 3 year old self and feel the bliss, the freedom and the fun I had as a child to help keep myself connected to that special essence within me and make sure I am reminding myself to play and have fun! So in today’s meditation we will journey to your inner child and give you a space to play and connect. Welcome to Episode 15. This meditation is designed to help you settle into an easy, restful sleep so that you can completely relax and recharge your body, mind and nervous system. Sleep is the foundation of wellness and if you are sleeping well then you can manage yourself, your emotions and your life easier, and with more fuel in the tank. I have purposely left out the usual ending (Outro) of this podcast so that you can drift off to sleep without being disturbed. You may want to set the timer for about 15 mins so that you can drift into sleep easily, and not have to worry. Welcome to Episode 14. This is one of my favorite meditations to do as I wake up in the morning as well as before I go to sleep. Focusing on gratitude instantly opens your heart and helps you focus on all the blessings and the miracles present in your life right now. Embracing an attitude of gratitude will keep you in an abundance mindset and will allow even more love and abundance to flow towards you.